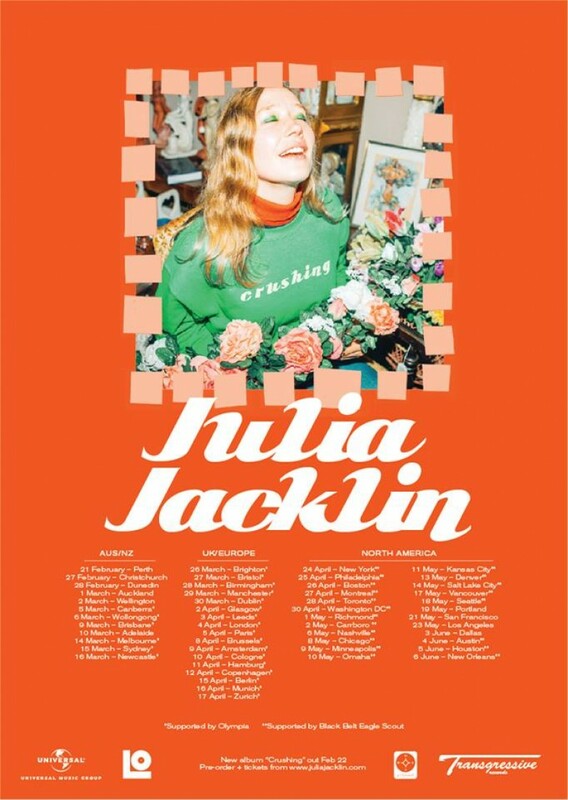 Transgressive | Catch Julia Jacklin on her 2019 world tour! Julia Jacklin has announced a huge 2019 world tour! Following the February release of her second album, Crushing, Julia will embark on a huge tour - beginning in her hometown of Australia, followed by New Zealand, the UK, Europe, and finally North America. The world tour follows three intimate UK shows, which almost instantly sold out. Julia plays Omeara, London on November 27th, with Manchester's YES the 28th and Glasgow's The Glad Café on the 29th. Crushing is released on the 22nd February 2019 - preorder it here. Get tickets to the 2019 world tour here. Listen to the latest single, Head Alone, below.